August 25th marks the Centennial of the Park Service, and since National Parks are known as America’s Great Invention, that’s certainly reason to celebrate 100 years! When it comes to Utah, we know how to do National Parks in style. Utah’s first national park was Zion National Park, created in 1919. But like many of Utah’s National Parks, it was first designated as a National Monument. Since then, Utah has 13 designated breathtaking national parks. Some of the favorites? Arches, Canyonlands, Zion, Bryce, Capitol Reef. 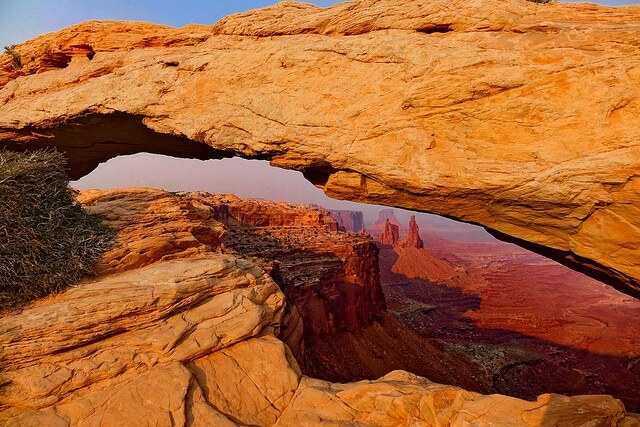 From Bluff, it’s only a short 2 hours to Canyonlands and Arches National Parks. And don’t forget Glen Canyon National Recreation Area, also managed by the Park Service, where you can play on Lake Powell. For a full list of Utah’s parks, visit here. Many of the Four Corners area parks are having their own 100th Birthday Celebrations. For example, Mesa Verde is offering free admission August 25-28th. The National Monuments in Utah are also managed by the Park Service – so they’re in on the celebration too! Hovenweep and Natural Bridges are both having birthday celebrations of their own. Check their Facebook pages and websites for updated event schedules.